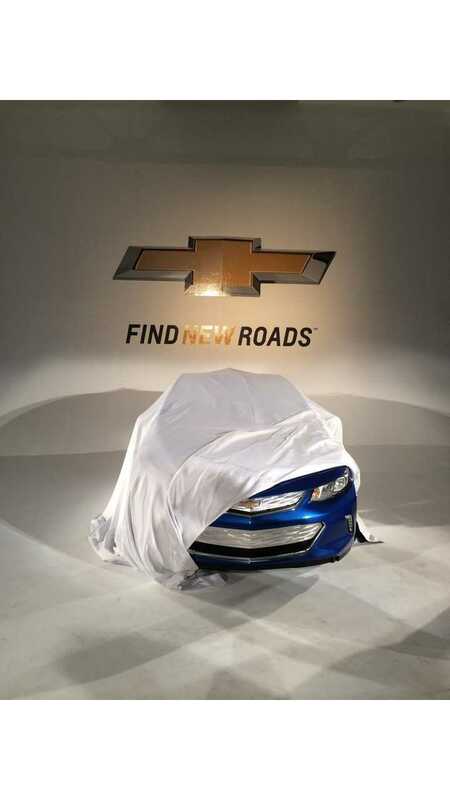 The 2016 Chevrolet Volt was revealed to local Los Angeles Volt owners last evening. 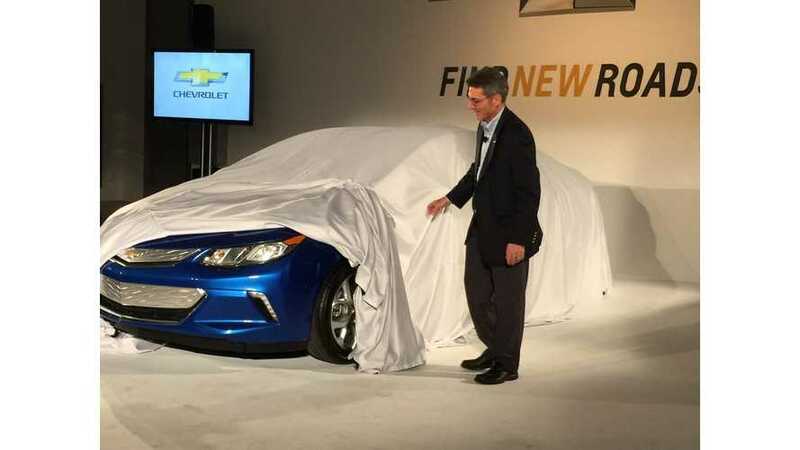 Those owners, who got to see the Volt in its entirety, were forced to sign a non-disclosure agreement, so specifics on what they witnessed can't be released. 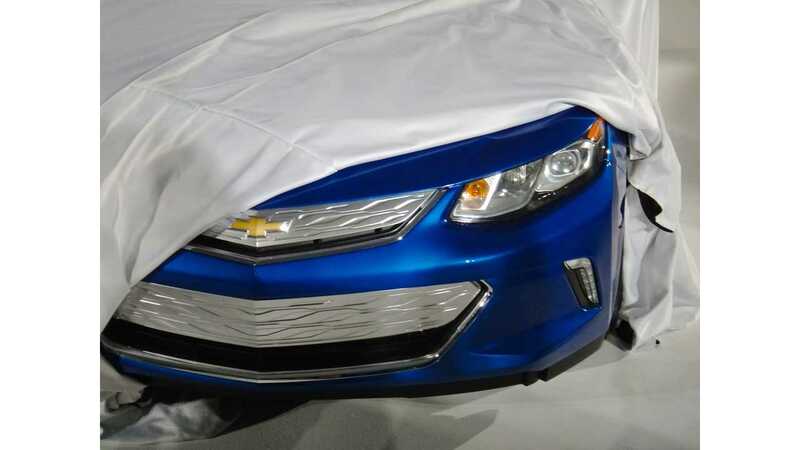 However, we're allowed to show you these teaser images of the front end of the 2016 Volt, as well as to discuss the next-gen Volt charging setup. We're told that the interior quality and attention to detail is more on par with the Cadillac ELR than it is with today's Volt. As for appearance, the exterior is claimed to be more aggressively styled, while at the same time being a cleaner overall design. What do you think of these front-end images of the next-gen Volt? Digging the new look? Or is the current Volt more to your liking? 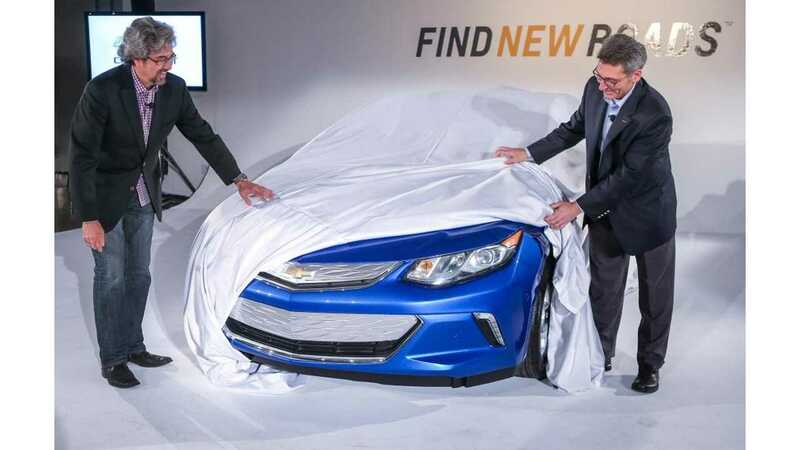 DETROIT – If there’s one thing Chevrolet Volt owners love about their cars, it’s being able to recharge the battery easily. Evidence of that is a U.S. Department of Energy study that shows more than 80 percent of all trips by Volt owners did not use the range extender. Chevrolet has made the charging system in the next-generation Volt even easier for customers to recharge the battery – and to check the charge status. The next-generation Volt debuts in January at the North American International Auto Show. 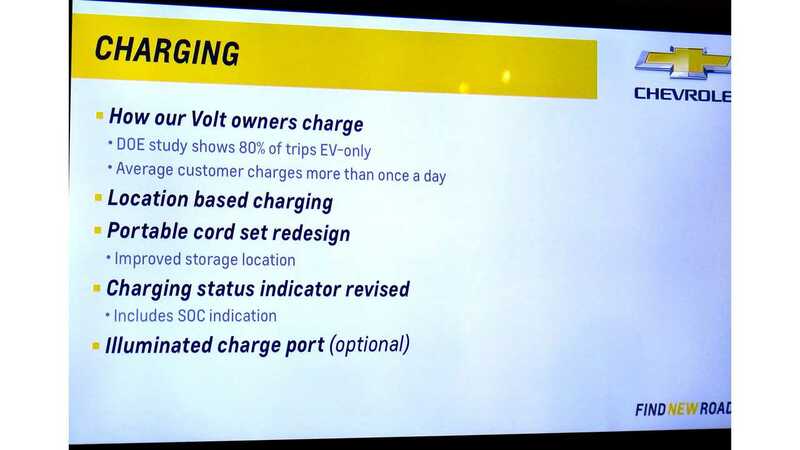 GPS location-based charging Owners will now be able to set their charging preferences exclusively for their “home” charging location and the vehicle will automatically adjust to that setting when it is at that location. The car will recognize when it arrives “home” based on GPS data.This will allow owners to pre-set their charging level (8 amps or 12 amps on 120V only) and whether they wish to charge immediately, set a departure time for each day of the week, or set a departure time and a utility rate schedule to charge only at off-peak rates. Owners can input their local utility’s rate schedule into their Volt to assure they’re charging using the cheapest electricity rates. 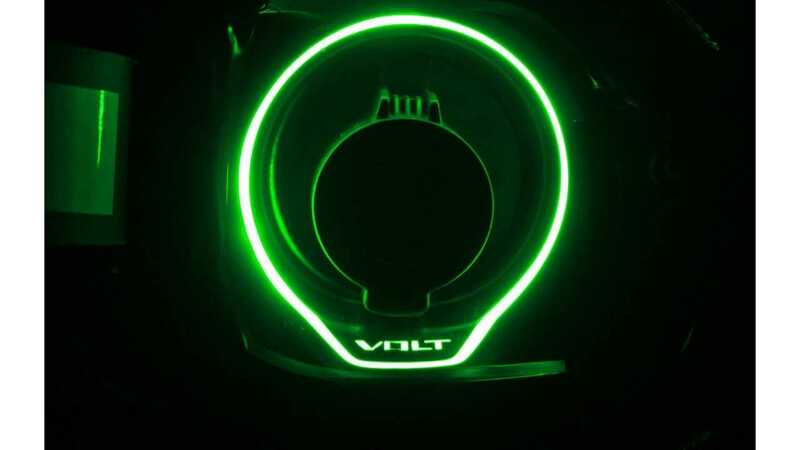 They will only have to program the system once and the Volt will return to these settings every time it is at its home location. New, more intuitive charge status indicators The next-generation Volt makes it easier for owners to confirm their Volt is charging and gauge charge status. The new status system features a specially designed tone that indicates when charging has begun, with additional tones for delayed charging. It will even indicate if the charge port door was left open after unplugging but before entering the vehicle. With a glance through the windshield, an updated charge status indicator light on the on the top of the instrument panel will show the approximate charge level through a series of flashes. In addition, an available illuminated charge port makes it easier to plug in after dark as well as indicate approximate charge level through a series of flashes. Portable cord set enhancements A new 120V portable cord set includes a cord nearly 25 feet long, longer than the current 120V portable cord. It can be locked using a small padlock to deter unauthorized removal during charging. Based directly on customer feedback, a new storage bin for the cord is now located on the left side of the Volt’s rear cargo area, above the load floor, for improved accessibility.